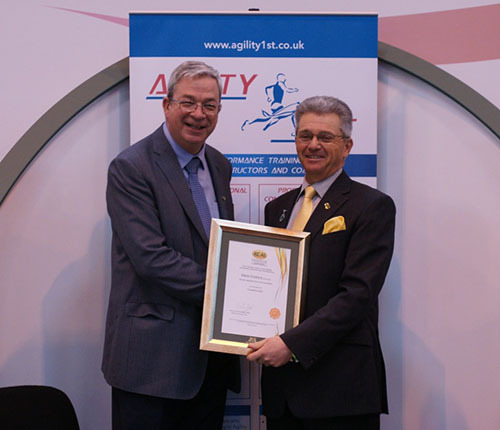 I am really pleased to have achieved KCAI Accreditation as the first “Agility Specialist”, we like firsts at Agility1st! The process of accreditation has been very rigorous and at times challenging, but I think this only adds value to the achievement when you finally pass! I am extremely proud of what we have achieved in such a short time with Agility1st. My personal accreditation with KCAI and the businesses recent validation as a Preferred Educational Partner reflects our aim to become the leader in the field of Agility Instructor Training and Coaching. The Kennel Club Accredited Instructor scheme (KCAI) is continuing to expand its offering and set standards in education, by announcing a new partnership with sports coaching experts Agility1st as one of the scheme’s latest Preferred Education Providers (PEP). Agility1st will be joining the Centre of Applied Pet Ethology (COAPE), Trevor Cooper’s ‘Dog Law UK’ and the International Animal Behaviour and Training Centre (IABTC) who all achieved PEP status last year. Agility1st is a programme created to develop agility instructors and coaches at all levels of the sport, from recreational agility instructors to professional agility trainers and coaches. The programme is led by agility experts Steve Croxford and Mark Laker and was launched at Crufts 2013. Caroline Kisko, Kennel Club Secretary, said: “The KCAI scheme is proud to announce Agility1st as a Preferred Educational Provider for the scheme. For further details on KCAI PEP, please visitwww.thekennelclub.org.uk/training/kcai/kcai-preferred-educational-providers-(peps)/. All the KCAI Preferred Educational Providers will be represented at the KCAI Career Zone in partnership with Purina PRO PLAN at Crufts from 6th – 9th March. The annual conference included an afternoon session where four more candidates had their practical assessments; Karen Colls, Sue Bartley, David Morrison and Karen White. Steve Croxford and Mark Laker were the assessors overseen by Angela White who had been asked to provide an objective view of the assessment process. Angela was not involved in the course development and acted as an independent reviewer with a great deal of practical experience in training trainers. All of the candidates were successful and were awarded certificates after a review of their practical assessment and module submissions. The first annual conference for Agility1st members took place on Sunday 17th November with over 20 people in attendance. The day started with an excellent practical session run by our guest Angela White who is a well known dog trainer, speaker and behavioural expert. 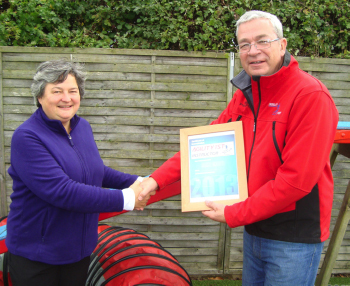 She is also a board member with the Kennel Club Accredited Instructors scheme. The afternoon sessions included practical assessments for our instructors Karen White, Sue Bartley, Karen Colls and David Morrisson (more on this in another news item). Our pilot scheme members were all presented with their Instructor Certificates at the close of the day. Recipients of awards of Instructor certificates were; Yvonne Croxford, Dee Dakin, Karen Laker, Fifo Martin, Ruth MacGill and Trevor Shelswell. Special thanks goes Nottingham Trent University for hosting the day and Dr Jackie Boyd for helping with this and to Dee Dakin who organised the day for us and for keeping Mark and Steve out of trouble! Put a note in your diary to look out for details of our November 2014 conference. 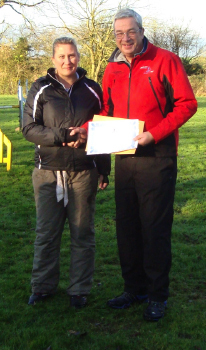 On 26th October 2013 Sally Grove was the first of our Agility1st instructors to finish the accreditation process by having her practical assessment with Steve Croxford.